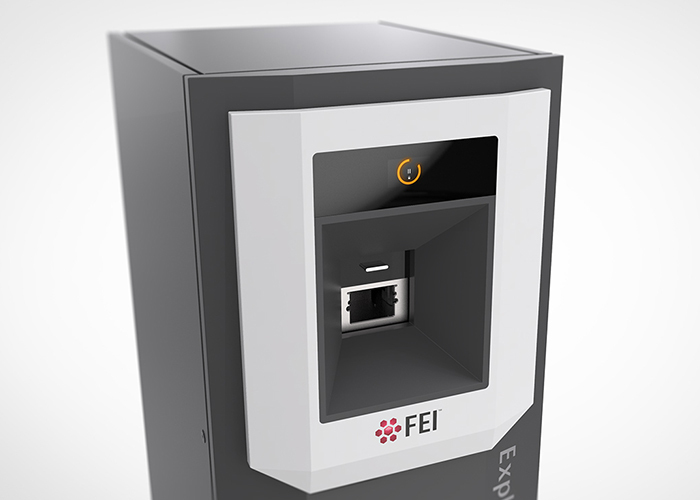 The FEI Explorer 4 Analyzer is a scanning electron microscope (SEM) designed as an industrial microscopy solution for quality control, production process optimization, failure analysis, and profitability. A gap was identified in the FEI product offering for a new desktop system which could analyse the morphology and chemistry of particulate in inbound raw materials or outbound finished product; issues which result in compromises in product quality and ultimately productivity. Design Partners were engaged to ensure success in this new product by creating a design identity and an efficient usability solution which would truly resonate with operators. By engaging with users of similar systems, we were able to clearly formulate an ideal workflow, understand operator motivations, habits, and prevailing pain points. Through embedding and immersing ourselves in the operator work environment, we Identified opportunities to not only create a better product offering, but to differentiate through introducing simple features which would lead to clear work-flow optimisations. We understood that SEM particle monitoring tests on a single sample can run for many hours. We identified that during the test cycle operators will move away from the system (SEM and PC workstation) to perform other tasks, but periodically return to the PC interface to check the status and progress of the test. This insight presented a clear opportunity. By making this information visible to the operators on the SEM device itself, the operators were at a glance, able to visually check from a distance, allowing them to be more efficient in their movements and productive with their time. The Explorer 4, would enter a competitive and congested space where brand loyalty could not always be relied upon. However, by seeking to differentiate their product offering through a better understanding of their customer spoke volumes. A simple gesture of supporting a user with their daily workflow resonates with operators and ultimately builds a strong association between them and the brand. 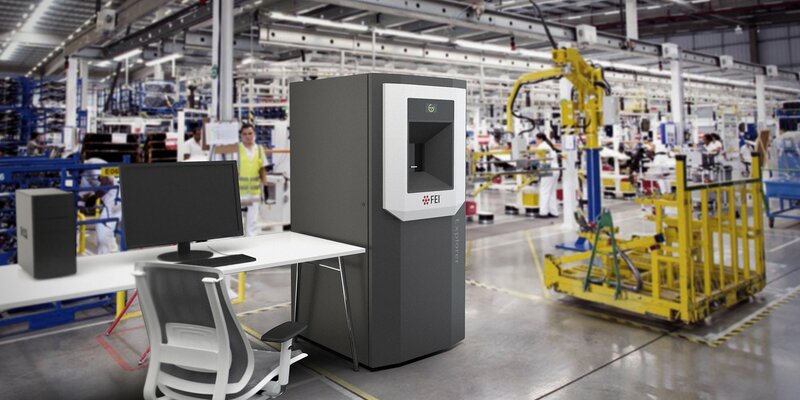 "Keeping design on board right through the process allow us to make rapid decisions which balanced retaining design intent and accommodating manufacturing realities."